Jussie Smollett was a man of no words as he left an office building Friday in the San Fernando Valley. 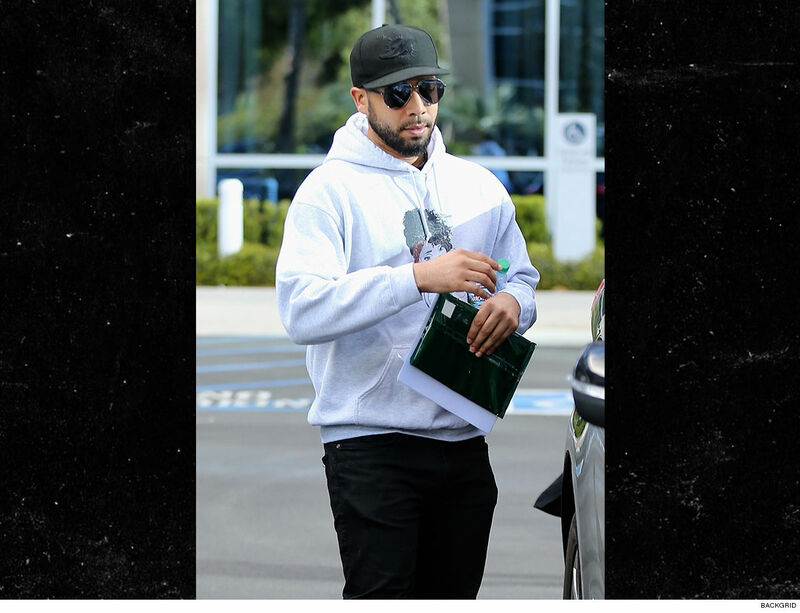 Jussie was leaving the Warner Center in Woodland Hills in the PM when he was asked about the civil lawsuit the City of Chicago intends to file against him to recover the $130k cost of investigating the alleged attack. The Empire actor’s lawyer, Mark Geragos, went on and on how the City was maliciously defaming his client, suggesting they would file a lawsuit of their own, but Jussie was mum. Jussie’s in a box on this one … he has been so strong proclaiming his innocence, settling with the City for ANY amount would be off script, despite the fact a settlement is often made to minimize the enormous costs of trial. If Jussie goes for it in a trial, he risks a judge proclaiming he faked the alleged attack … something that could be devastating to his career. And remember, in a civil lawsuit, the standard of proof — more likely than not — is way lower than in a criminal trial — beyond a reasonable doubt.